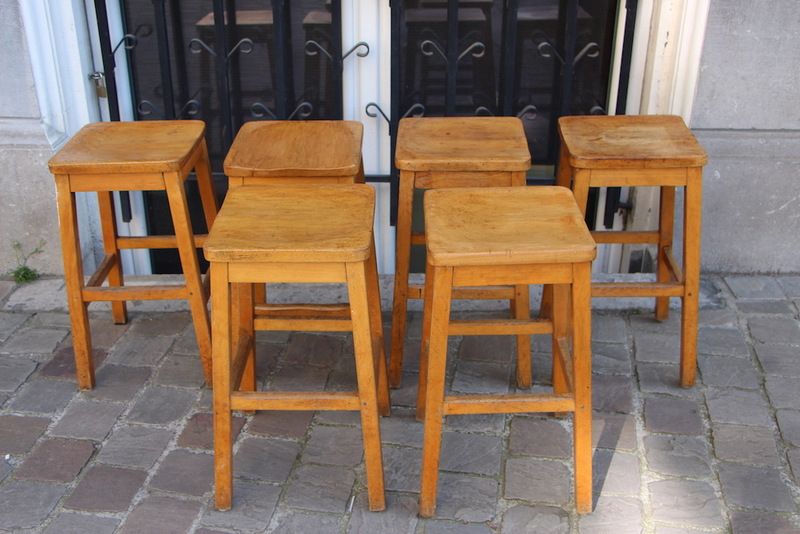 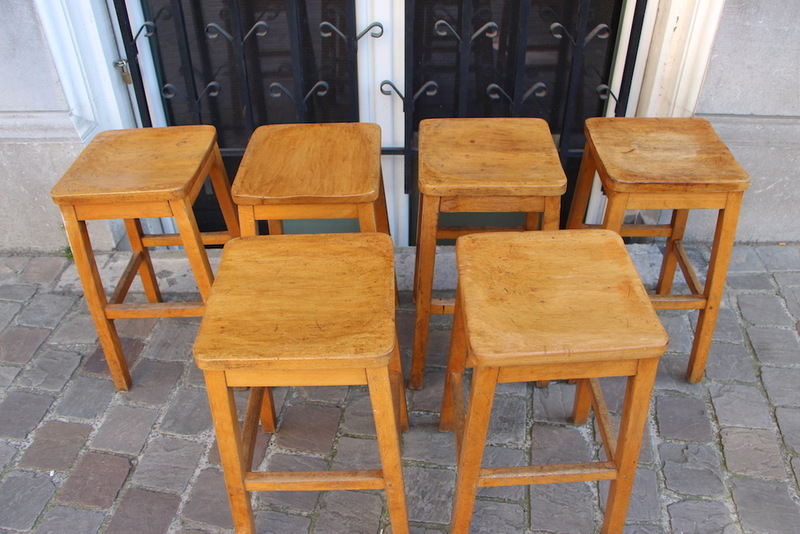 Set of 6 wooden stools. 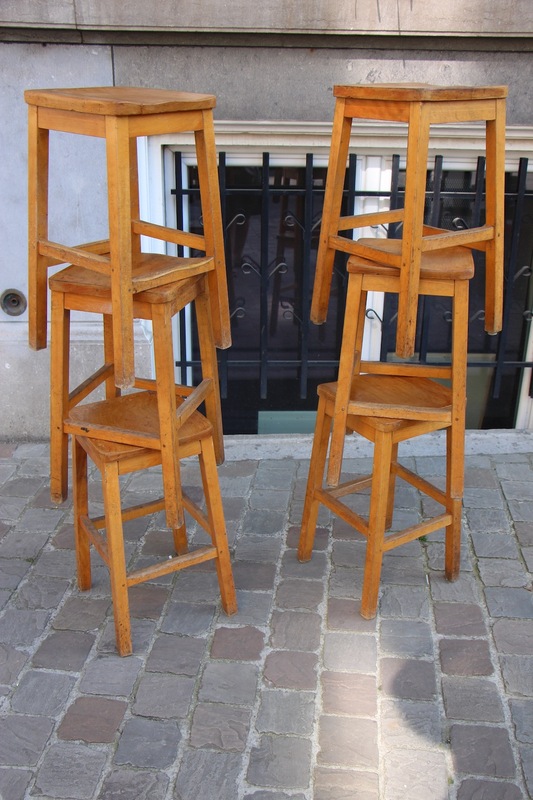 Very charming, excellent condition, not fragile, great look! 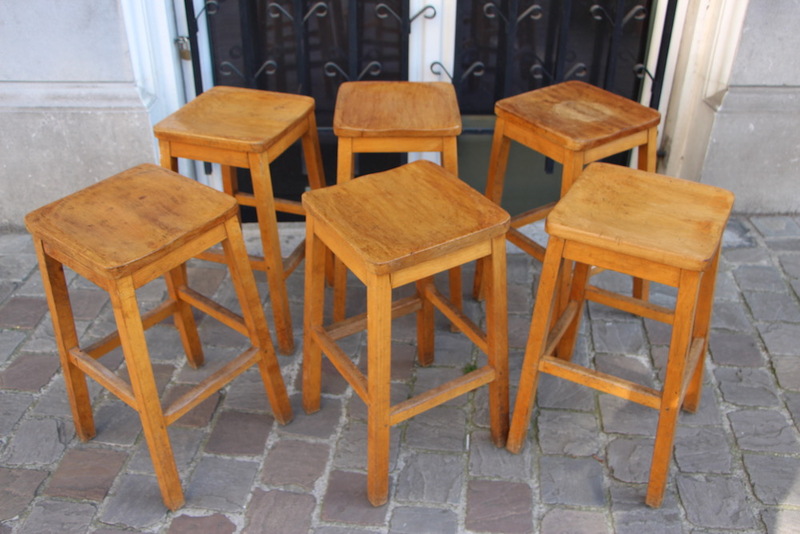 Perfect around a dining island and so rare to find a whole set! 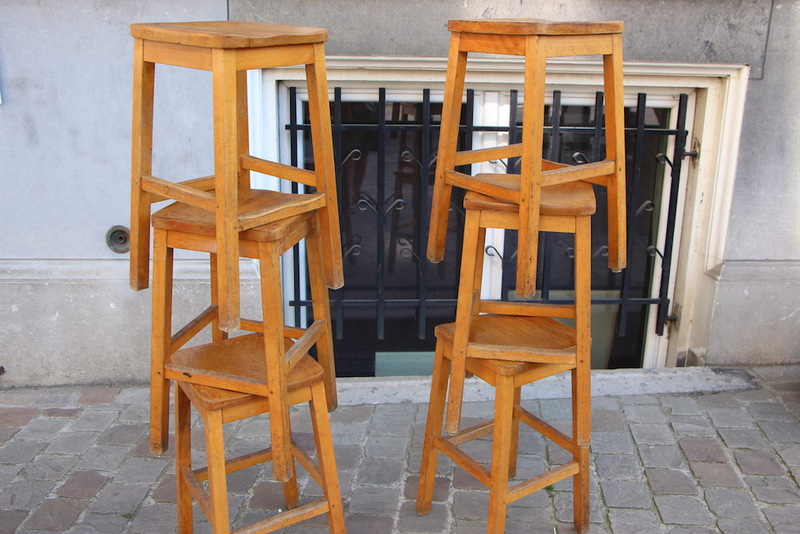 Imagine these in a very modern kitchen, on a concrete floor for example, this is exactely the way I like things : a mix of very contemporary architecture which will be warmed up by these personal wooden stools.